Power Service, the #1 ranked fuel additive company in the country and Cal-Ohio have had a long standing relationship in bringing local firms a line of products to help treat their diesel fuel and ultimately increase their fuel economy (up to 8%). 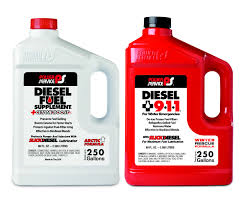 The main products we carry are the Diesel Fuel Supplement, Diesel Kleen and 9-1-1. Power Service Diesel Fuel Supplement provides an anti-gel additive during the winter months as well as year round protection. Many customers will switch to the Diesel Kleen in the summer months due to the cetane boost while it also does an incredible job of cleaning injectors and lubricating its components. During the winter months it’s not a bad idea to keep some Power Service Diesel 9-1-1 on had in case of an emergency especially in extreme cold conditions. Its main purpose is to reliquify gelled fuel and de-ice frozen fuel filters. Looking for more information on Power Service products? You can find the answers by calling us at 330.549.2179 or visiting powerservice.com.